I am obsessed with eyeliners, their my go to look. These are my NYC eyeliners, I got from Walmart. They were only about a $1.50, which I think is really good. The two smaller eyeliners are waterproof, which is a big plus for me. This will definitely help to assure that eyeliner stays on for a long time. The blue eyeliner I wanted because I lost my other one from my color theory collection. The other colors were really pretty so I was pretty excited about having them. 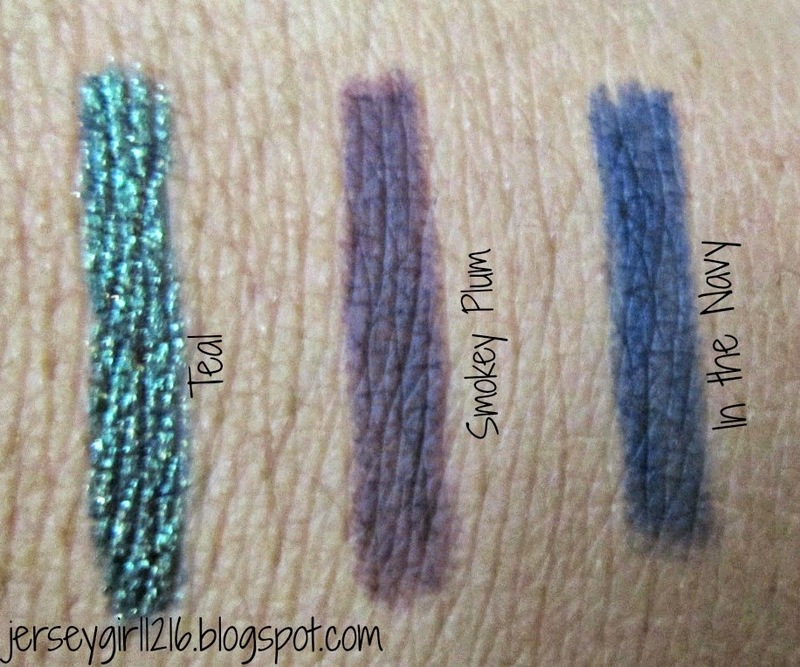 The Smokey Plum is like a deep purple color and I think it would go great with a dark smoked eye look. This last eyeliner is In the Navy. It is the perfect pop of color that would go great with a smoked look and even a neutral look. 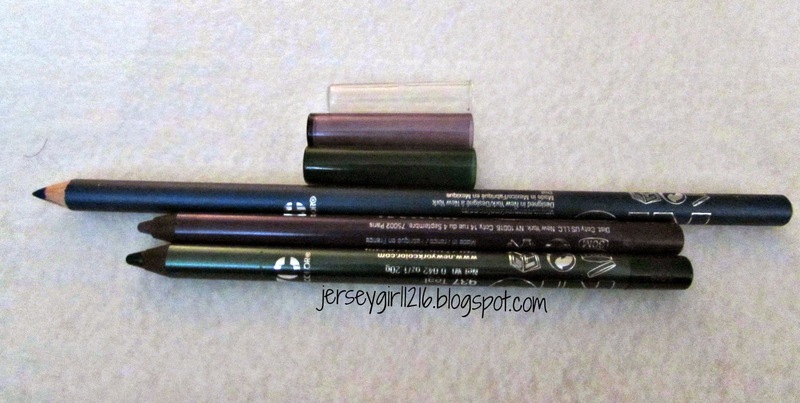 These eyeliners are great quality at a good price and they stay on for a long time! I'm pretty sure you can find them at other places like: CVS and Target. In another post coming soon, I'm going to talk about my Hard Candy: Metal eyeliner collection I got for Christmas! I hope you enjoyed reading! Are you obsessed with eyeliners too? Those colors are gorgeous! My favorite are teal and smokey plum.